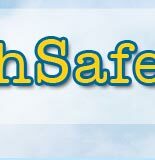 This website's mission is to help school personnel develop a supportive, safe and inviting learning environment where students can thrive and be successful. 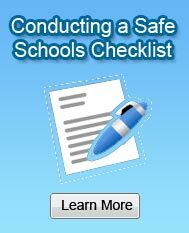 It provides evidence-based information and techniques to assist the school community in the prevention of school violence. The site was developed by Dr. Dale Willows of the University of Toronto, a member of both the National Reading panel and the Scientific Board of the Institute. 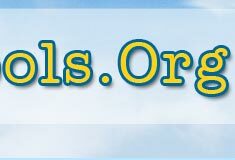 We wish to thank everyone who supported the development of this important website. We know with scientific certainty that violence and illiteracy are linked together. We urge you to support our efforts to teach every child to read on grade level by the end of third grade and to help remediate those who missed that important milestone. During my 14 years as a school psychologist with a major urban school system, it was my habit to find the kindergarten classroom on opening day and watch the little ones as they marched into school for the first time. As cute and enthusiastic as they all were, I knew that for a large percentage this was not the beginning of the same great academic adventure that it was for their peers. Rather, I knew that it was the first step on a trajectory that would lead them through academic failure, uncountable trips to the principal's office, suspensions, special services referrals, truancy, more suspensions, and finally dropout. It was like looking at a runaway train with no way to even slow it down. That was in the 1980's. And now a quarter century later, can it be true that in many of our large city school systems, upwards of half of the wiggly and excited little children who march into kindergarten on that next opening day can be expected to drop out? One hopes not, but the situation is certainly critical. The people who work in our urban schools want every one of those kindergarten children to be successful and realize their hopes and dreams, and the rest of us, parents and neighbors alike, want and deserve nothing less. Success in school is a powerful, if not at all perfect, protective factor for city youth living in difficult circumstances. 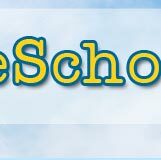 Consequently, in 2012 school success needs to be seriously invigorated. According to Belfield and Levin in The Price We Pay: Economic and Social Consequences of Inadequate Education, a nationwide increase in male graduation of just 1% would result in a 1.4 billion dollar saving in public expenditures. Success in school is good for us all. Improving the graduation rate in large school districts battling poverty and the host of risk factors that accompany it is a complex and long-term undertaking, the architecture and mechanics of which go well beyond this brief article. However, the research literature has provided some critical components to any effort, and they are highlighted here. Bringing parents into the learning process must go beyond passive efforts such as websites, parenting advice flyers, and help lines. Public schools have traditionally been averse to touching the issue of child rearing, in spite of the fact that it is clearly among most influential variables in academic success. Before walking into school on that first day, successful students have typically acquired beginning skills in emotional awareness, anger regulation, non-aggressive conflict resolution, and cooperative play as critical social skills for the very social classroom learning environment. Years of study at the University of Oregon Social Learning Center and the Prevention Research Center at Penn State have demonstrated convincingly that when these skills are deficient, serious problems arise. Community and school district personnel must work together to engage parents of high risk children and train them in a culturally-sensitive manner to manage their children's behavior effectively, how to prepare them for the social demands of classroom environment, and how to support them in the academic challenges to come. Is this the government coming into people's homes and telling them how to rear their own children? The simple answer is yes. In the view described here, requiring skilled parenting support as a condition for children to enter and participate effectively in public schooling is akin to requiring that they be vaccinated against childhood illnesses. Both actions serve the best interests of the child and the best interests of the children with whom he or she interacts daily. A case of measles is bad, but it pales in comparison to prison. For a percentage of children who arrive at pre-school or kindergarten, the social demands are alien and overwhelming. In school, students are asked to wait their turns, ask first, share the toys, keep their hands to themselves, follow the rules, and do what the adults tell them without making a fuss. For many children, home has not been a setting where these skills were encouraged or even particularly adaptive. Indeed, much of what they learned in the first three to five years of life about how to get by in the company of other children or adults bears very little relevance to this new environment. For this group of children, successful adaptation to their homes and neighborhoods meant learning an entirely different skill set, and one that almost immediately runs afoul of their new classroom expectations. The differences in the setting demands between kindergarten class and those of any one of the many distressed big city neighborhoods plagued by years of poverty cannot be overstated. It is little wonder the children struggle. Working hand in glove with the effort to teach parents how to support their children in the school environment, early childhood and kindergarten educators must make their students' successful adaptation to the social demands of the school their first priority, ahead of even academic instruction. 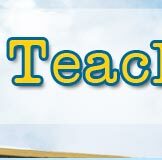 Young children must be taught how to learn in the school environment before they can engage in what to learn: How to cooperate in a group, respond to teacher requests, obey the rules, exert self-control, and resolve problems non-aggressively. To this end, curriculum referred to as "social and emotional learning" is a critical additional component. Due to their parents' educational and economic advantages, middle class children come to school pre-wired for success; big city schools must work harder to wire-up the less advantaged children in their care. The major urban school districts should vigorously pursue efforts to implement Positive Behavioral Interventions and Supports, the evidence-based system of school-wide behavior management supported by Substance Abuse and Mental Health Services Administration (SAMHSA). Within this system, attention should be directed to those students for whom the school-wide supports and incentives prove insufficient, for it is this population that is most at risk for dropping out. Administrators should ensure that the additional behavioral supports fall under the aegis of evidence-based practices -- those that contain solid empirical foundations -- and ensure that they are implemented and monitored for progress in the appropriate fashion. "Push-out" rather than "drop-out" occurs when students with problem behavior who could have received better are routinely subjected to repeated disciplinary responses and a litany of unsupported, uninspired interventions destined for failure. Just like hospital administrators, school principals need to take ethical as well as legal responsibility for the practices in their buildings and always ask the questions: "What are you planning to do and what is your reliable evidence that it may be effective in this case?" They also will do well to ask themselves the same on a regular basis. One of the strongest predictors of school dropout is a history of at least one grade retention. Among the numerous other negative impacts, research from the UCLA Center for Mental Health in Schools indicates that being held back one grade increases the risk of dropping out later by 40 percent to 50 percent and two grades by 90 percent. Big city schools need to embark on paths that will virtually eliminate both grade retention and social promotion. They need to be replaced with academic support procedures that include universal academic benchmarking, a rigorous adherence to Response to Intervention principles such as research-supported academic interventions, and multiple progress monitoring probes throughout the year for all struggling learners. Each time a student is suspended out of school for a rule infraction, the likelihood of that student eventually dropping out is statistically increased. One of the goals of the school system is to establish and maintain in each student a sense of connection to the school. Successful students believe that they belong in school and believe that the school personnel want them there. Out of school suspensions work against those beliefs and consequently contribute to the behaviors that lead to dropping out. Long a problem in school districts with high minority populations, a strict moratorium on out of school suspensions should be imposed except when student or staff safety is a legitimate concern. Students who are suspended for such reasons should be assigned to a regional center -- not to an unsupervised home -- for the fewest reasonable days. During this time, an evidence-supported skills training plan to address the student's behavioral difficulties should be designed and implemented upon return. Alternatives to suspension begin in the classroom where strong classroom management skills can prevent minor events from escalating to an office referral. In-school suspension rooms and Saturday school programs are sufficiently aversive and considerably less expensive to the citizens than funding a dropout for a lifetime. The reasons that students drop out of school include social-economic and cultural variables that go well beyond the ability of the school system to influence, try though they will. Moving that group of students out of negative headlines and onto the graduation rolls is a complicated undertaking, made even more so by the current economic downturn that demands that schools do more with less. However, it doesn't always cost more to decide to focus on the right problem with the right response. There is no such person as a kindergarten child who wants to drop out, and that's what I call a pretty good running start at finding a solution. Note: An earlier version of this article first appeared in the Milwaukee Journal-Sentinel, June 24, 2012. RtI and Violence Prevention: An Alternative to "Punish and Hope"
By Dr. Donald Meichenbaum, Ph.D.